The 2016 Census fine is too expensive to ignore. There's a big fine on the way if you don't fill in your census. August 9 is Census night. I know you know. I know you took the letter inside only to toss it in the ‘bleh’ pile. Take it out! It could cost you a $180 per day. Seriously. A penalty of $180 per day can be enforced for those who fail to record their census data after reminder letters and field staff visits cease in mid-September. The Census is SERIOUS BUSINESS. It’s not just an event that occurs every five years like some piss-poor Olympics. The Australian Bureau of Statistics have even planted ‘special field officers’ in remote locations for those who won’t be at home. In other words…you can’t escape the count. The 2016 Census is different to its predecessors as it will be the first year names and addresses will be kept for four years. Previous data has only been retained for 18 months. 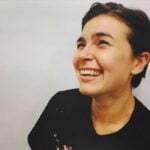 Vice chair of the Australian Privacy Foundation Kat Lane spoke to the Sydney Morning Herald to voice how this year’s census raised privacy concerns. “The whole concept behind privacy is control of your personal information,” she said. The push this year has also taken a swipe at issues faced in previous counts. The amusing amount of Jedi knights residing in Australia sits near the top of the list. 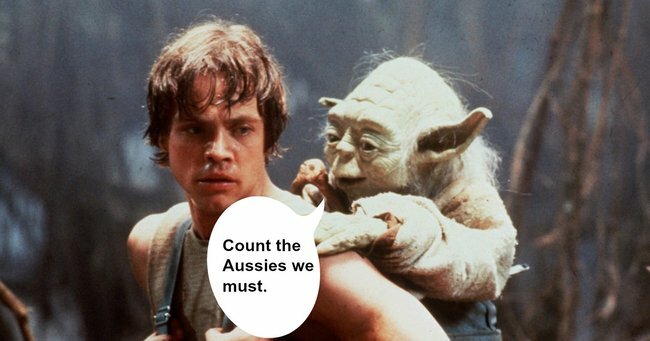 The Sydney Morning Herald reported 64,390 Australians marked Jedi as their religion In the 2011 Census. The figure was a jump up from 58,053 jedis who were recorded in 2006. Australians are urged to not mark themselves as followers of the force as it skews results and makes the country appear more religious than it is. The flow-on effect of the joke could alter how and where taxpayer money is being allocated and spoiler alert: it’s not going to be on the death star.